Enjoy a romantic getaway at the Phuket Pavilions Hotel, an exclusive 5 star resort, located on a hillside overlooking Layan Beach and Bang Tao Beach on the north west coast of Phuket. 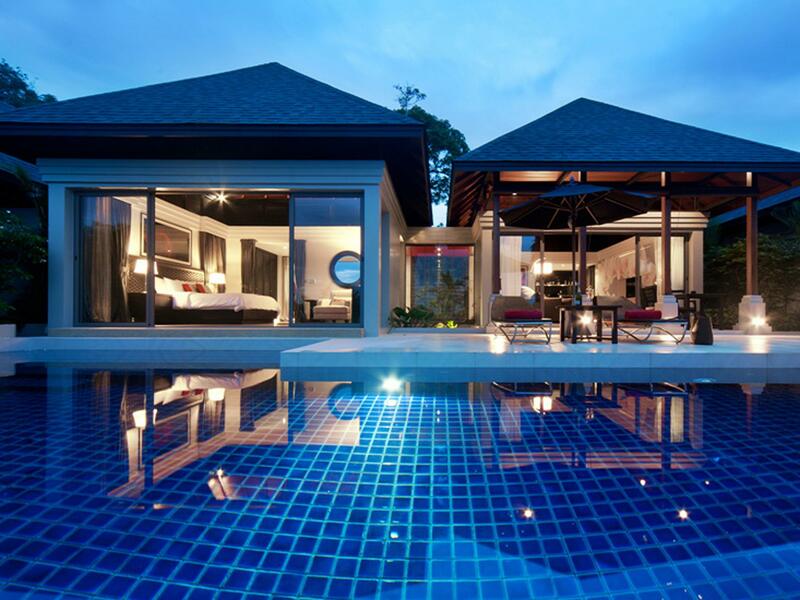 These luxury five star pool villas are one of the most popular honeymoon destinations in Phuket. 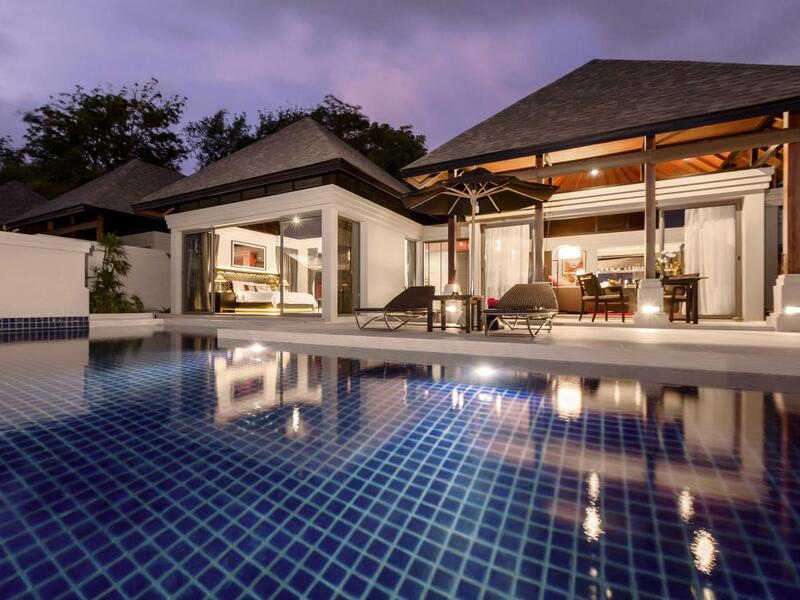 If you are after a luxury vacation or a romantic getaway, you certainly won’t be disappointed when staying in one of the luxury pool villas at the Phuket Pavilions. 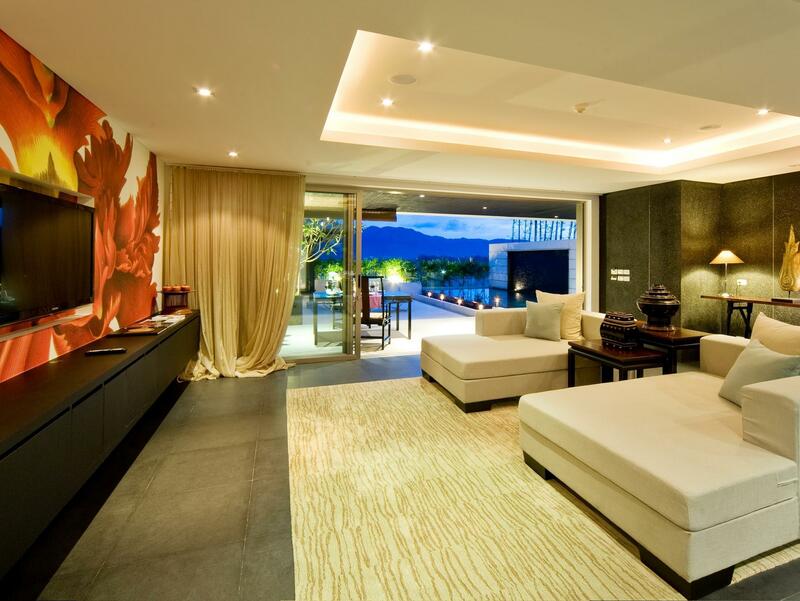 The Pavilions Phuket is pure luxury, the ultimate getaway for a romantic vacation in a private villa. Whilst the villa rates are by no means cheap, you will certainly get what you pay for.... a slice of heaven. 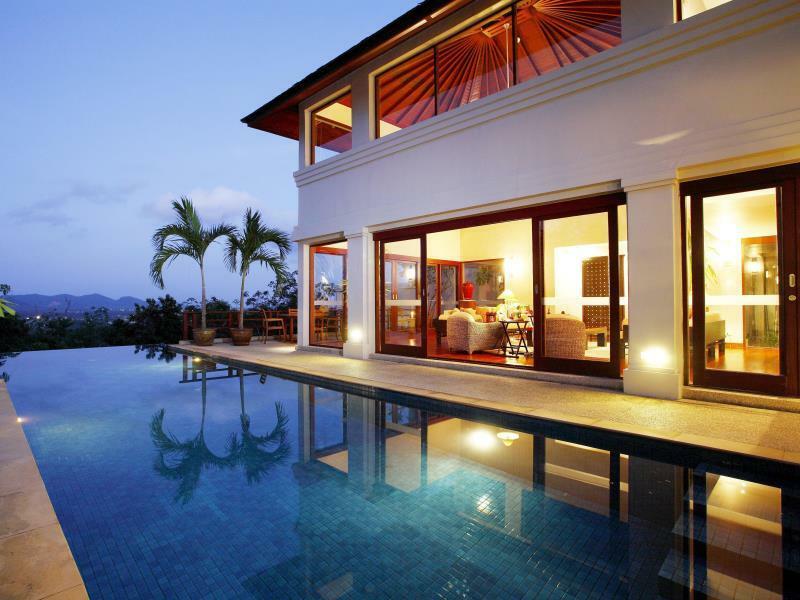 The Pavilions Phuket has a selection of luxurious, private pool villas with five different villa styles to choose from. The Tropical Pool Villas offer total privacy and include a kitchenette and spacious living room, a large master bedroom and en-suite. 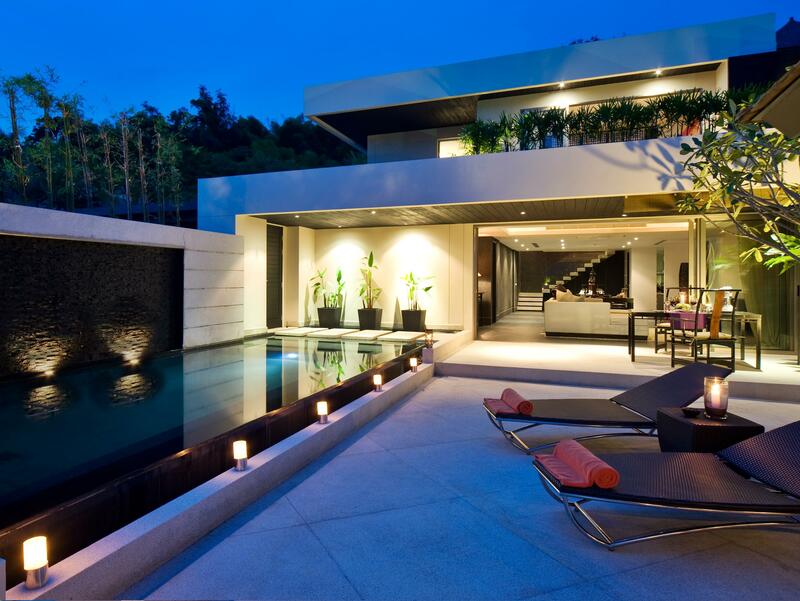 The Spa & Pool Pavilions are set on the hillside, offering spectacular views. Each spa and pool pavilion has a private infinity edged swimming pool and a personal spa room, complete with a steam room and a private courtyard. 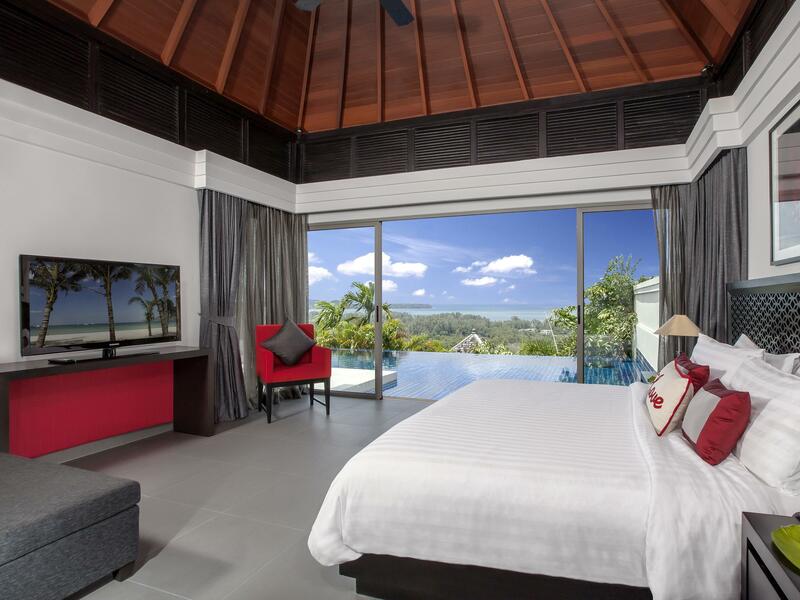 The Ocean View Pool Villas have uninterrupted and stunning views overlooking Layan Beach. 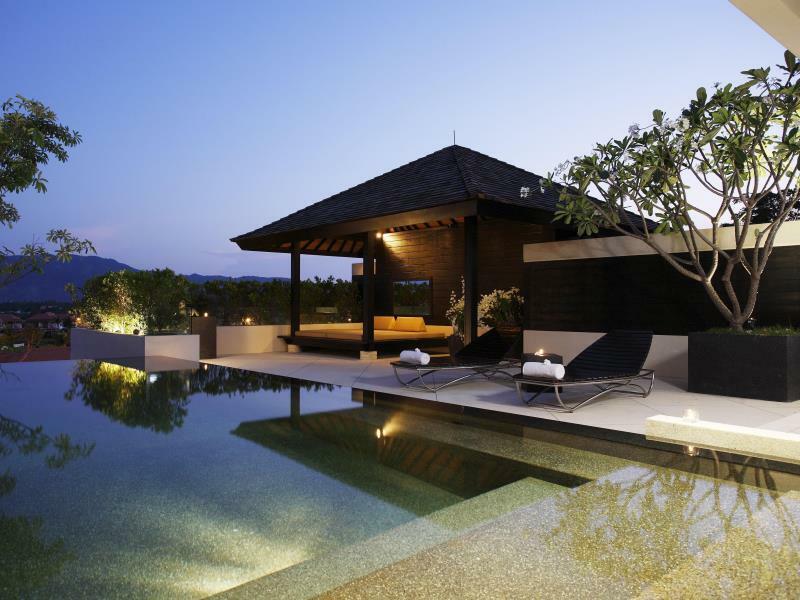 The Spa & Pool Penthouses are situated on the hillside, offering two levels of total seclusion. The ground floor has a spacious lounge, dining room, guest bathroom, infinity pool, spa room and steam room, outdoor sala and a large terrace. Upstairs sliding doors separate the master bedroom from the en-suite. 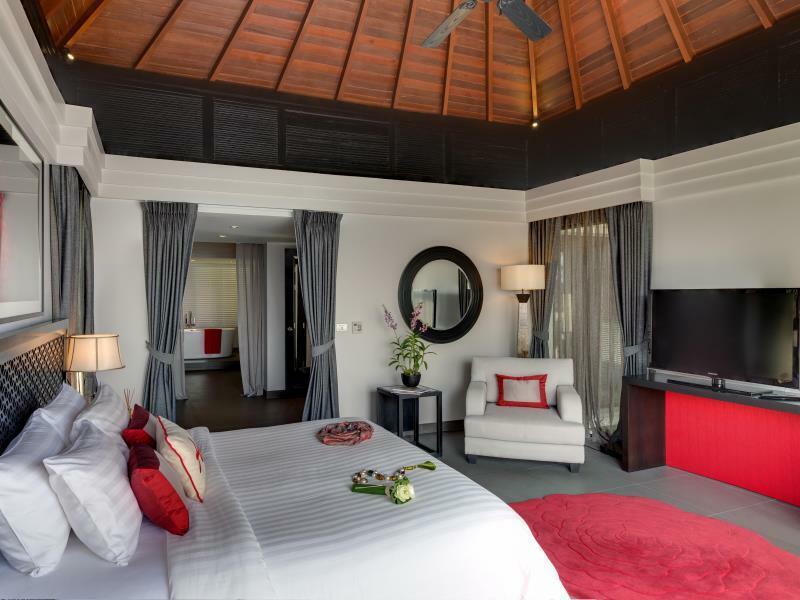 The Three Bedroom Pool Villa is set over two levels and includes a living room, kitchen, dining room, 3 bathrooms and a private spa treatment room. Spa treatments and massages are available in the privacy of your own villa. 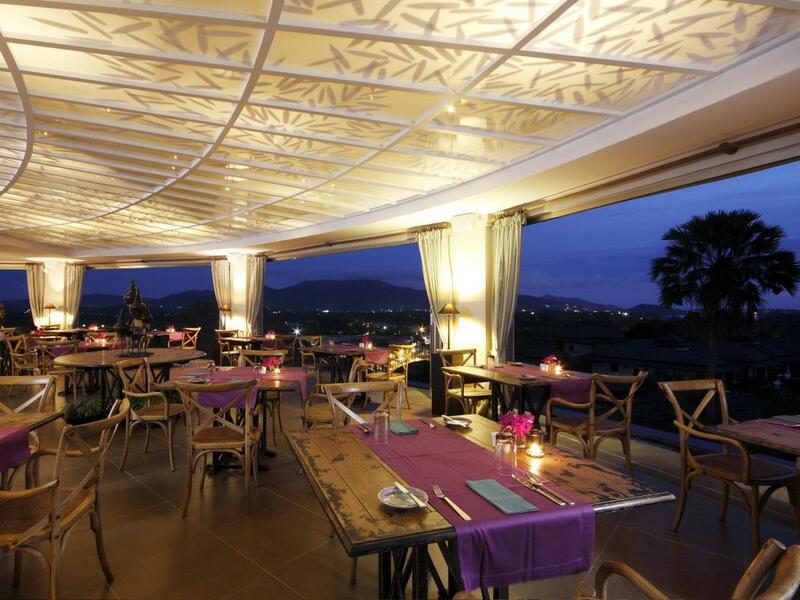 The Pavilions boasts two fantastic restaurants, both with stunning views. The 360 Bar and Grill serves an extensive menu of gourmet cafe food and cocktails with beautiful views. The other restaurant is called the Plantation Club which has a selection of Thai and Mediterranean food. 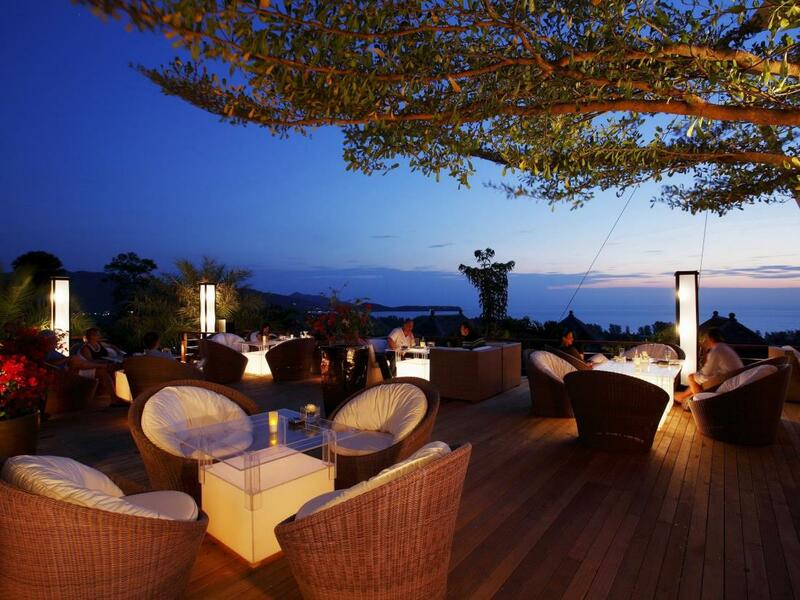 It is also a great spot to sit back and relax and enjoy the stunning views over an evening drink. 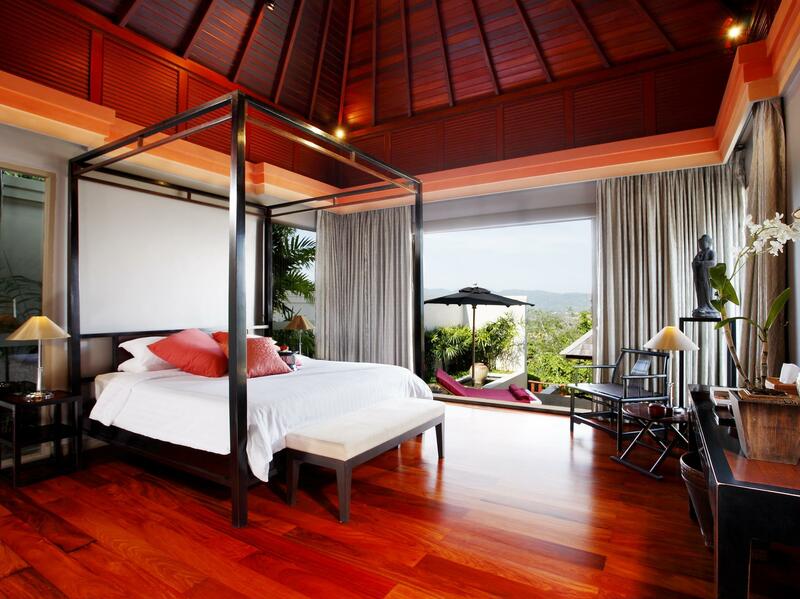 If you're after romance, luxury and seclusion than the Pavilions Phuket is a perfect choice. The Pavilions Hotel is situated on a very steep hill, so golf buggies are used to transport guests around the resort area. For beach and shopping activities, there is a free hotel shuttle bus service which will ferry guests between Layan Beach and the nearby canal shopping village at the Laguna complex in Bang Tao Beach. 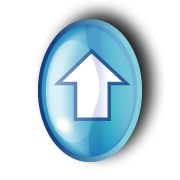 However, if you are staying in the villas for more then a couple of days and you don’t want to spend all your time at the resort. It would be wise to hire a car to get around especially if you want to do some serious shopping or sightseeing. The Pavilions Phuket Hotel is highly recommended for couples that are looking for a romantic getaway, or a group of friends in search of a luxury vacation. Please Note: The Phuket Pavilions hotel only allows children over the age of 16 years. 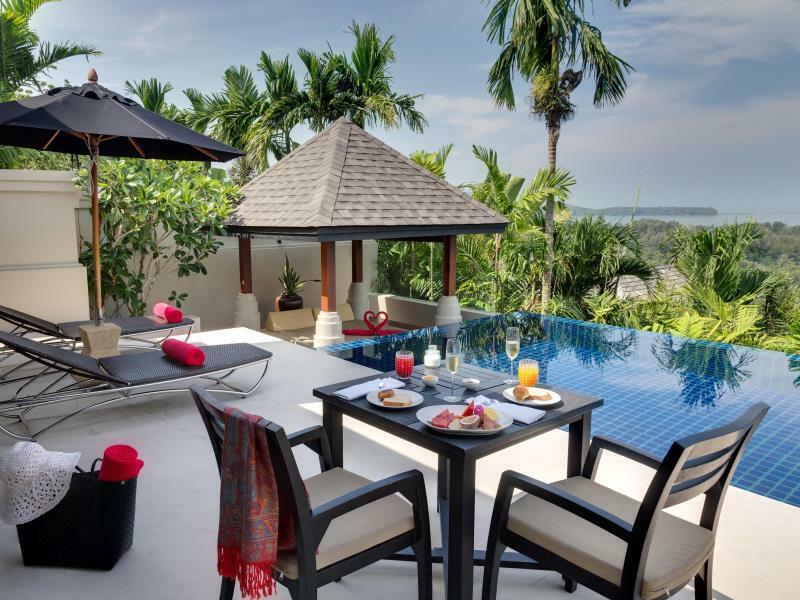 You really won't be disappointed when staying at the Pavilions Phuket, read reviews on Agoda or Tripadvisor that are written by other guests that have experienced some time away in one of these magnificent villas.